Gregory Nava's "El Norte" was a memorable journey into the Latino experience in white wealthy country. That masterpiece had a heartbreaking scene between the Latino maid and a washing machine. "Spanglish" merely hints to a similar moment between the Latino maid and a coffee machine. The "merely hinting" is at the heart of this painful comedy of manners. This is the journey of an observer not of someone who actually lived it. As a consequence he treats his own with an iron hand and the others with a romantic, heroic, fairy taleish sort of slant. Putting aside the potential seriousness of the story, the film is a moving, entertainment fantasy in the land of opulence and guilt. The borders here are not geographic but personal, the aliens are the natives. They become illegal in their own existence and step all over their own lives without noticing, trying to care, trying to be the best they can possibly be but without points of reference or enough substance for their acts to have any kind of real meaning. 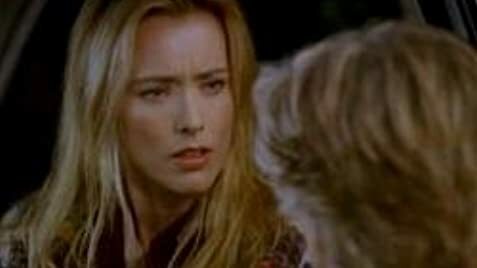 Tea Leoni gives a performance of such fearlessness that sometimes you feel she may jump out of the screen. Cloris Leachman is great as an alcoholic wise woman who doesn't want to be judged. Paz Vega represents the ideal Latin heroine in a wealthy American's story. She is beautiful and powerful and utterly unlikely. Adam Sandler is Adam Sandler and seems to stand passively between the blonder than blond world of his wife and the exotic gorgeousness world of his maid. I would like to know what happened to Paz and her daughter after leaving behind the chances to be or become like everyone else in the white wealthy country of make believe, or is that too much to ask. 76 of 120 people found this review helpful. Was this review helpful to you?